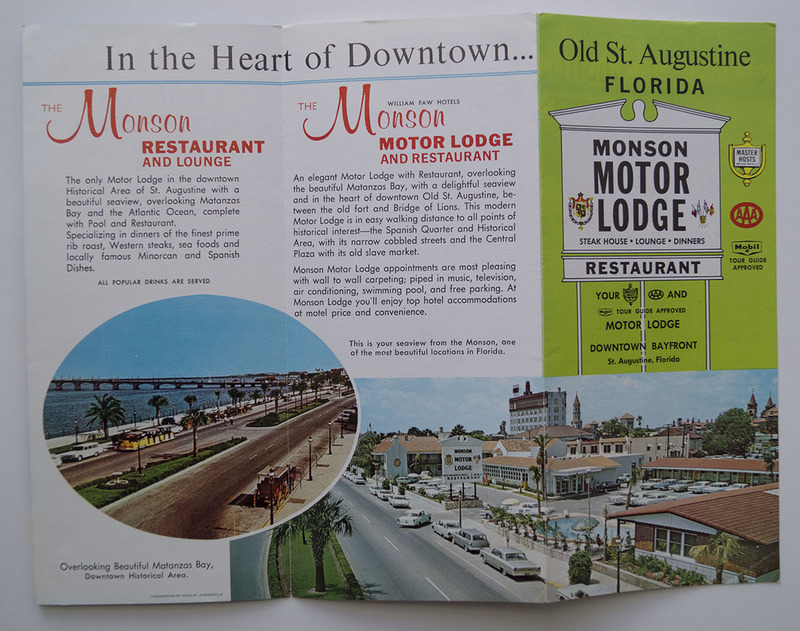 This 1960’s Monson Motor Lodge brochure advertises the hotel where Martin Luther King was arrested and also where the hotel manager famously poured acid in the pool where an interracial group was protesting the segregation ordinance. 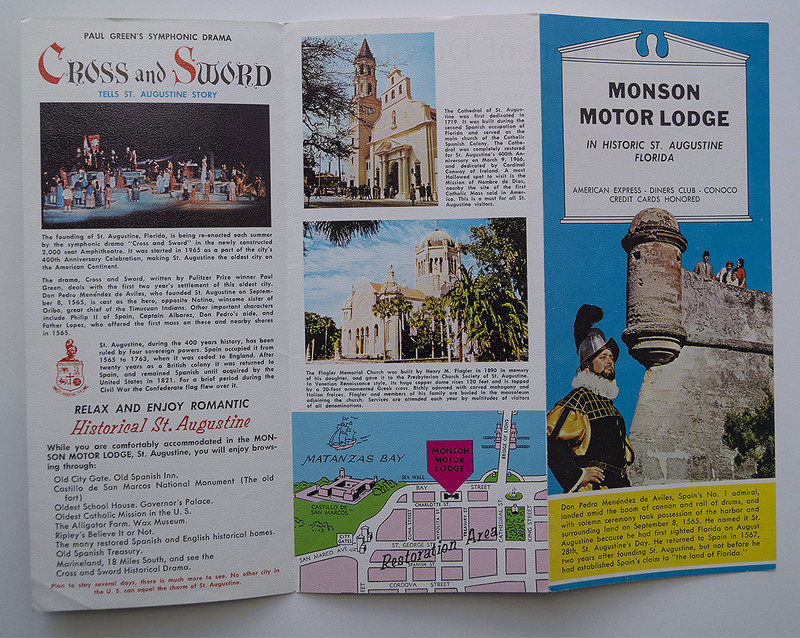 In the spring of 1964, Robert Hayling worked with the Southern Christian Leadership Conference to recruit college students to come to Saint Augustine for spring break to take part in civil rights activities. Martin Luther King, Jr of the SCLC was arrested on the steps of the Monson Motor Lodge restaurant, June 11, 1964. He wrote a “Letter from the Saint Augustine Jail” to his friend, Israel S. Dresner, in New Jersey, encouraging rabbis to come to Saint Augustine and take part in the movement. The result was the largest mass arrest of rabbis in American history, which occurred June 18 at the Monson. 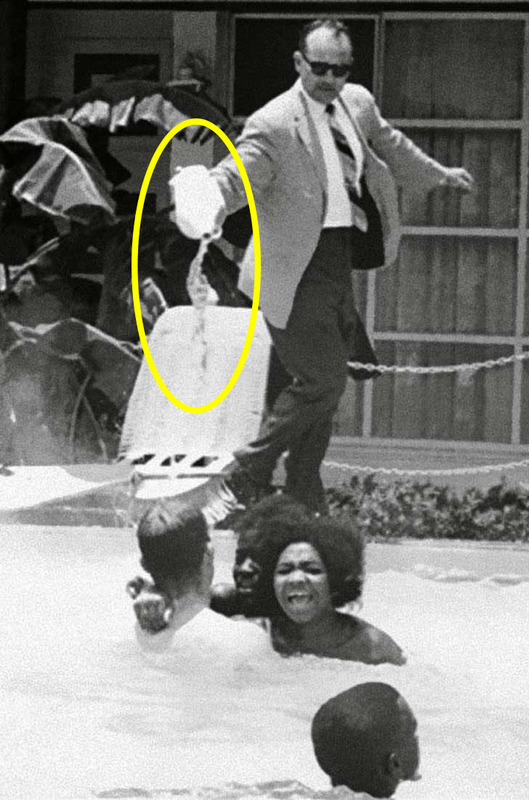 Days later, black and white activists jumped into the Monson swimming pool in violation of segregation ordinances, leading the manager of the hotel, James Brock, to pour muriatic acid into the water to drive the “wade in” protestors out. Photographs of this action, and of a police officer jumping into the pool to arrest the young activists, were broadcast around the world and became some of the most famous images of the Movement. On June 30, Florida Governor Farris Bryant announced the formation of a biracial committee to restore interracial communication in Saint Augustine. National SCLC leaders left Saint Augustine on July 1, the day before President Lyndon Johnson signed the Civil Rights Act into law. The motel and pool were demolished in March 2003, despite five years of protests, thus eliminating one of the nation’s important landmarks of the civil rights movement. The Hilton Bayfront Hotel was built on the site. 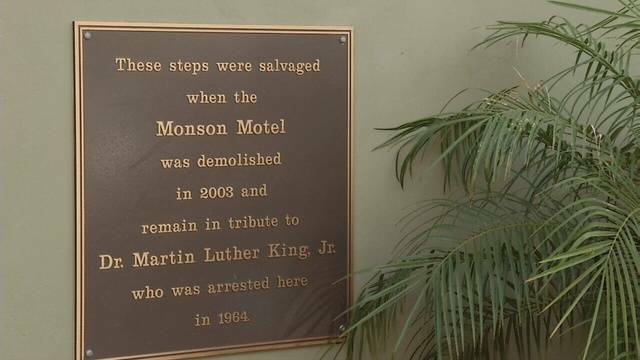 Today, the steps of the Monson Motor Lodge have been preserved with a plaque to commemorate King’s activism in the city.